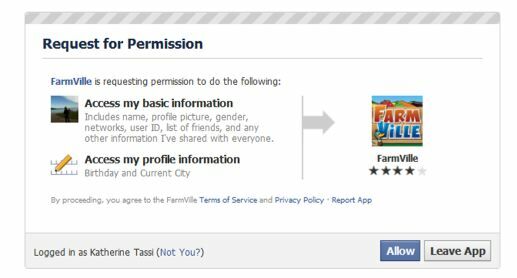 Facebook will be sharing FB users' phone numbers and addresses to third parties?! WTF???!!! Damn, this plan from Facebook! In a letter to Congress Facebook announced its plan to give third parties access to user information such as phone numbers and home addresses! The said letter was sent in February 23, 2011. You can read it here. This move from facebook is not new. Way back in January, this has started. However it was quickly suspended. But FB is pushing this plan again, giving our information to strangers. Noticeably, from the screenshot above, there are only two options for users to choose from, that is "ALLOW" or "LEAVE APPLICATION". There is not the option to "DON'T ALLOW" yet use the application. So yeah, it sorts of forces you. I love the whole idea of using facebook for free. But for FB to sell my information to third parties- it S*CKS! (I don't think we've had problems like this with Friendster..)Best solution now is to put a fake mobile phone number and incomplete address /or fake address on my fb account or just leave these parts empty. facebook is a crap! Never put your real information in these sites. i put fake information in my fb account.